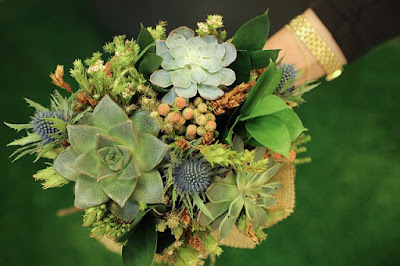 The trend for having succulents, deemed a quirky little flower / plant as part of a wedding bouquet, or table / cake decoration and even as potted favors and featured on wedding invitations began around five years ago and this trend is showing no signs of diminishing. So why are these Alpine, desert like plants so popular? Note: You can source your succulents via my wedding succulents page on Amazon where I have sourced everything you need. 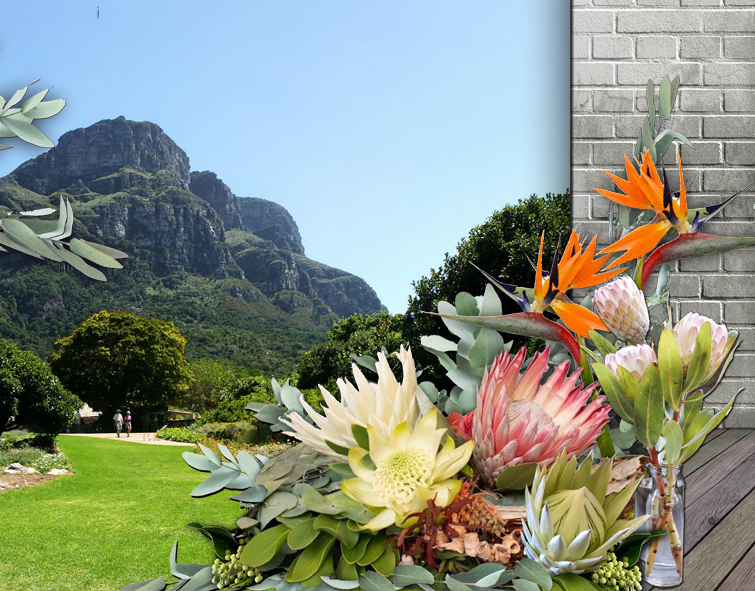 Whatever time of the year you're getting married, you will always be able to feature these plants with flowers at your wedding, unlike many other flower varieties. They also bloom in any season. While other flowers (cut) will dry out and die if not displayed shortly after cutting, your succulents remain fresh and plump holding their appearance for longer. They also are known for purifying the air around them and humidifying the air as well only releasing oxygen even at night, all of which is an added bonus! They may help you avoid becoming ill on your wedding day. You may think succulents are mainly green and you'd be correct, but they have a wide variety of greens, and greeny blues and even purples and deep red to contrast, meaning they can co-ordinate with many wedding color themes. And by this I simply mean that generally flowers are seen as a feminine thing whereas succulents with their sturdy appearance can work just as well for men as for women and make excellent button holes for the groom and grooms party. Due to their ever growing popularity, not just for weddings but for other events and as a home decoration, you can purchase succulents in the Alpine/desert section of garden centers, in home stores and even in your local supermarket. They're inexpensive and transport easily. Now we know why succulents are so popular and what their many benefits are, it's easy to see why they're a hot favorite at weddings. Before we take a look at how to plan your succulent wedding, here are some fast links to items you'll need. 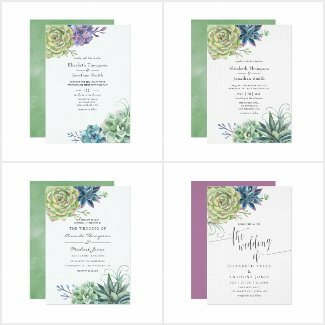 Succulent themed wedding invitations and matching stationery and favors via Zazzle, world's largest print on demand merchant, 100% money back guarantee (see coupon codes here for great discounts and savings). For all your succulent plants, favor pots and boxes, labels, bouquets, cake moulds visit my Amazon Wedding Succulents Page HERE. I noted a bride-to-be generously sharing her low budget wedding planning costs along with her tips for making savings on a Wedding Planning Group and she kindly gave me permission to publish the details here for the benefit of other frugal brides. 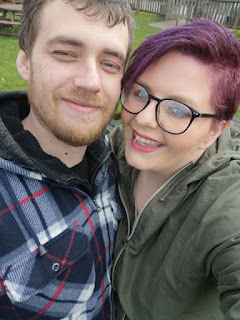 "My h2b (husband-to-be) asked on my birthday (boxing day) 2018 so we've had 5 months to plan and pay for what we needed in that time. Here are some money saving tips that I think will be really helpful to those who are on a budget. If you download a free app called freeprints, you get 40 free prints a month. I also use a free app called Pic Collage in which I uploaded a pic of me and h2b, the wedding information and picked the colours of the invite as the ones of the wedding theme. We made 80 personalised invites and only spent £2.99 for the shipping on the freeprints app. 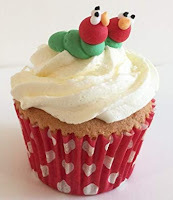 We are having 2 caterpillar cakes. Each serve 20 and they are £6 each from Asda / Morrisons . We are having cupcakes made and for 40 it is £60. So £72 for cake and cupcakes for 40 people. Brand new on eBay they cost £4 each for the flower girl ones and £25 each for the older bridesmaids. A total of £58 for 4 dresses. ShoeZone have some white lacy type shoes for £6 each, really pretty. £24 total for the 4 bridesmaids and mine are white converse £25 from JD Williams. Suits. Matalan we spent £80 for the grooms 5 piece suit and £60 for the page boy 5 piece suit. £140 for the 2. We have artificial. Definitely post on your local Facebook groups too. I made 6 bouquets using flowers from Hobbycraft and watching a YouTube tutorial. All 6 bouquets cost £18 to make. Registry office which is on beautiful grounds. £314 for the ceremony, wedding certificate box and a picture of me and h2b signing the register. Definitely phone around and ask for prices. Some places wanted to charge us £600+! We're having a sit down meal instead of a party type thing. So no DJ, buffet, decorations etc. Massive saving. We asked all guests what they wanted to eat and they have offered to pay for their own meals. They knew of our struggles. Don't feel cheeky if the guests offer to pay for their own. Let them! Food is one of the biggest costs of a wedding. All guests are receiving a little mesh bag filled with sugared almonds. 60 bags on eBay for £1. Enough almonds to fill £5. Bridal and grooms party are having £30 each on gifts. Big expense but we've saved so much everywhere else. Total costs of gifts £174. We're lucky enough to have my brother in law do our pictures for free but if you don't have that then I highly recommend disposable cameras. One camera for every 4 people and 2 per reception table. The guests can take pictures throughout the day and night. If you have a hashtag the ones who use their phones can upload them for you. Evening is a meal in a family pub. £60. Each guest (40 in total) has offered to pay for their own meal. That's a total of £3292 (without things not being free would come to £5000) of which were only paying £2492. Hannah is very blessed to have wonderful friends and family who are happy to contribute and help in so many ways. The take-away from this is to not be afraid to ask for help because those that love you will be happy to lend a hand in any way that is practical. This is a intimate wedding that will I'm sure be a huge success more-so because all the guests are fully invested in it being so! Your friends and family will have a wide range of skills sets that make for the perfect wedding. You may have talented photographers, crafters, flower arrangers as well as green fingered gardeners who can supply the wedding flowers among your crew. I'm sure they will be flattered when you ask to draw upon their expertise for your special day. It will help them to feel involved and with a few glasses of wine and a free lunch for all your helpers, the whole process can be a fun one. A HUGE thank you to Hannah for being so generous and kind in sharing her story and tips! 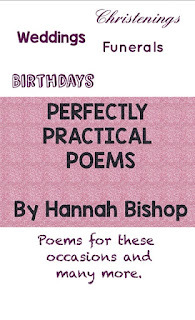 Hannah Bishop writes custom poems for events including weddings to add a special something to your invitations, save the dates, rsvp's! Whatever the occasion. Here is one of Hannah's low budget wedding themed poems. Wedding planning is so exciting. Yet scary at the same time. One minute your feeling anxious. The next, things are seeming just fine. The biggest stress is the budget. The smaller it is the bigger the task. Will we be able to afford this? Is a question you'll certainly ask. You start to look at your menu. To see what cutbacks you could make. With your head hung low you question. Should I sod it and just home bake? It doesn't stop there with the questions. Is an expensive DJ a must? It doesn't make it easier. Seeing other brides spend with pleasure. Because a budget for them is a leisure. All the luxury things they can. When your questioning a car or a van. Oh goodness, then there's the dress. Then the worst question of all comes. Is this all really worth the stress? You've cried so many tears. You never thought what it would be like. To plan what you've wanted for years. With big smiles on their faces. It isn't about what we don't have. And you making him your king. Making promises you will keep. You can still love on the cheap. 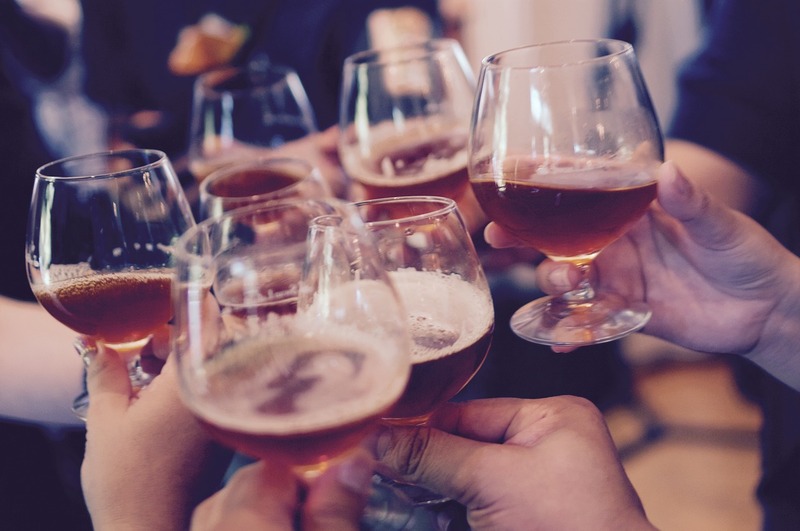 The drinks are on us; sounds like a bad idea to me because it could end up costing you a fortune and even if money is no object it could get a bit messy with your guests not being able to resist having one too many. Do you really need to pay for all their drinks? Many couples these days have been living together for some time before getting married and already have pots, pans, towels, ornaments photo frames and the like. With the expense of the wedding they would probably appreciate money to spend on the honeymoon; but how can you say it without sounding ungrateful or greedy. Once again you can get personalized cards just for that purpose. 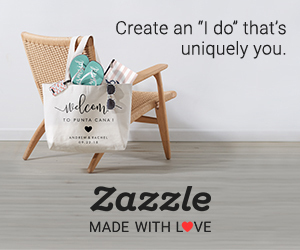 Perhaps your a couple who would love lots of wedding gifts but you feel a bit cheeky sending out a wedding gift list telling people what you want. Why not set up an online wedding page where you can get guests to message you with their RSVP. 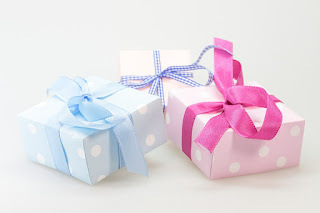 That way you can put a list of wedding gifts you would prefer there which they will see when replying, giving them a subtle hint. Many couples today have found their soul partners later in life and want to keep their ceremony simple. In some cases children of previous marriages are already independent, some even married with children. To celebrate and start a new life with a new partner can be a tremendous occasion depending on the personalities and tastes of the bride and groom. The ceremony options for remarriage are endless. Beach and garden weddings are popular for intimate wedding events. Maybe Throw a Surprise Wedding! Select a date and venue, then send out invitations requesting guests to attend what appears to be a party for some other occasion, like a birthday or a housewarming party. Actually, they'll really be coming to a wedding! If it is a house warming party then family and friend will know that the couple both have moved in together. Some couples might even have moved to a new location. 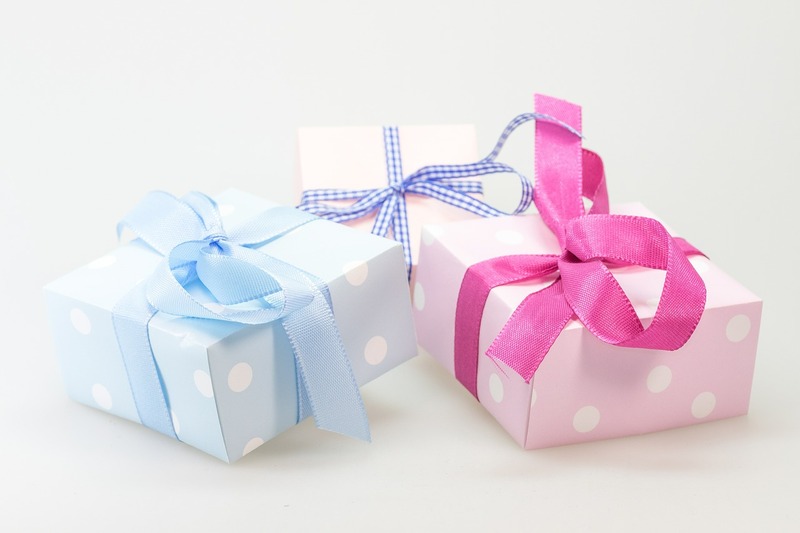 For a house warming, guests might want to bring a gift as a token of their joy for their new union, but most couples do not want to receive gifts for the second wedding. Chances are, their cupboards are brimming with all the stemware, crystal, and fine china. The second time around brides might not want to wear a white wedding dress. 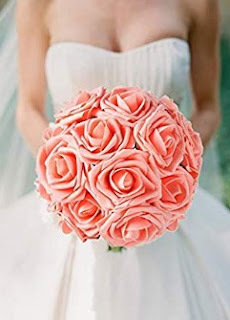 The most important thing is to pick a style that suits the couple's personality, figure, and the nature of the wedding. No dress code is required for guests. No bridal showers or bachelor parties - instead they often want to include both children of previous marriages in the ceremony. Seeing their parents remarry can be a difficult ordeal for children, so the couple should tread carefully. Break the news to them gently. Skip the traditional walk down the aisle. Instead, play the musical selection of choice. The couple stands together, and welcomes each of their guests as they enter the ceremony to take their seats. 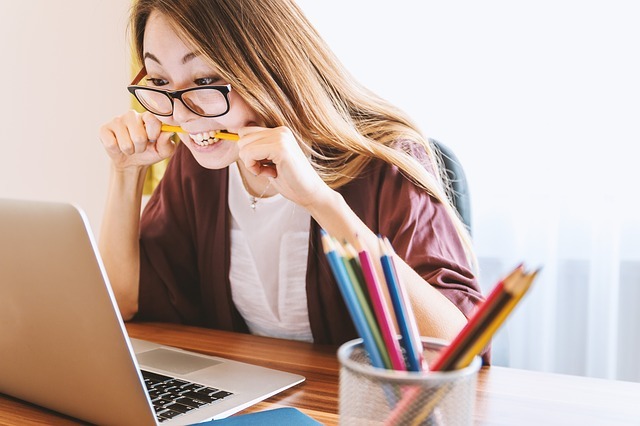 Consider an ante-nuptial agreement – it’ll save plenty of tears (and cash) in the eventuality that things don’t work out as planned. Actually, they'll really be coming to a wedding! If it is a house warming party then family and friend will know that the couple both have moved in together. Some couples might even have moved to a new location. I have added some ideas for optional Save the Date or other invitation cards to use for a second time wedding. Wedding Planning can be a challenge but it can also be great fun if you do your research and plan ahead. To increase your fun factor and avoid stress, myself and fellow authors and wedding stationery designers have created a blog that is packed full of inspired ideas for wedding themes as well as tips and advice on budgeting, DIY decoration and so much more. We also advise on how you can avoid all those little niggles that can throw a spanner in the works. You can navigate the guest list, seating, plus 1 and kids issues with a few well worded invites and signs. 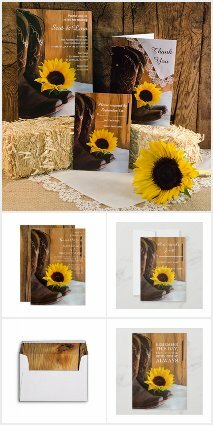 Page down to view our most popular advice and trouble shooting guides along with personalized wedding template signs and details card that you can use to let your guests know what your plans are for the big day! When it comes to what's trending for weddings in 2019 and 2020 we have daily/weekly blog updates along with future forecasts as well as a 'design on demand' service to ensure your wedding invitations and accompanying stationery are all bang up to date! Subscribe so you don't miss out. In the meantime page down for a list of trending wedding theme and this years wedding colors, linked to great wedding invitation and stationery collections so you can start creating your wedding ideas moodboard! Moodboards can easily be created via Pinterest, just open an account, create a board and start pinning your favorite wedding theme items. Planning your wedding and getting married should be a wonderful memorable experience. Without great planning, your wedding can be stressful and you can quickly feel overwhelmed by the escalating costs, the family politics and the sheer volume of what you need to do. To ensure your wedding goes without a hitch and you remain sane throughout the process follow these simple wedding planning tips. Recruit your most creative, organised, enthusiastic friend or family member to help you plan your wedding. This will immediately cut your stress and your workload down by at least half. That is, if you are able to fairly delegate and share the responsibilities. Use the following 'wedding planning things to do' list to help divide the responsibilities between you. Book the church or wedding ceremony venue. Give yourself ample time to plan for the wedding and for guests to ensure they are free on the day. Anything from one year to two years is usual for an advance wedding venue booking. There are great articles on this blog re Destination Weddings if that's what you have in mind! Whether you're taking family and friends or planning an elopement with a wedding reception back home afterwards, we have tips to get you started! Guides on destination weddings via Amazon here. Depending on where in the world you are, the rules re marriage licences will vary. Ensure you are compliant and do whatever is required according to your states laws. The size of the budget will determine every other action you take in planning your wedding, so spend time practically working out an accurate wedding budget based on what you can afford and what you believe is reasonable to spend on this one special day. Parents of bride and groom may offer financial support. Do not take this for granted. If parents do announce they will cover the cost then they will presumably set the wedding budget for you. Ensure you respect the limit imposed. Once you have the budget you need to divide it up to cover the many costs associated with wedding planning and execution. 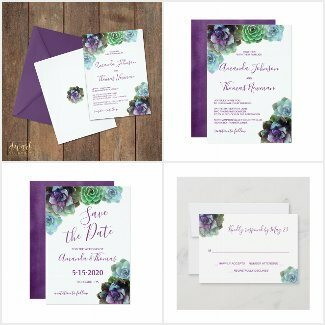 Wedding invitations as associated items ie rsvp, save the dates etc. You can buy a wedding stationery suite that will include coordinated items for all the above or you could make your own! 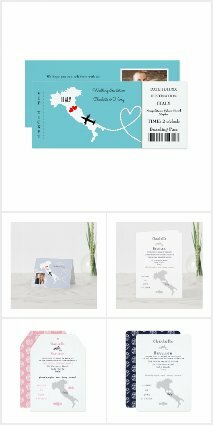 There are lots of online resources to help you to create your own wedding invitations. 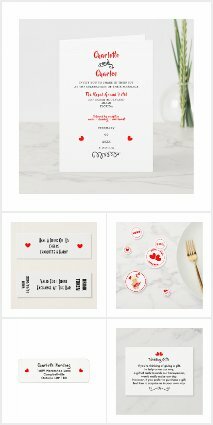 These include wedding invitation templates, printables and craft items. If you are making handmade wedding invitations, allow yourself sufficient time to do so. Who is coming? How many can you afford to cater for? Should they attend the marriage ceremony, the cocktail hour and the wedding party reception or just the reception? 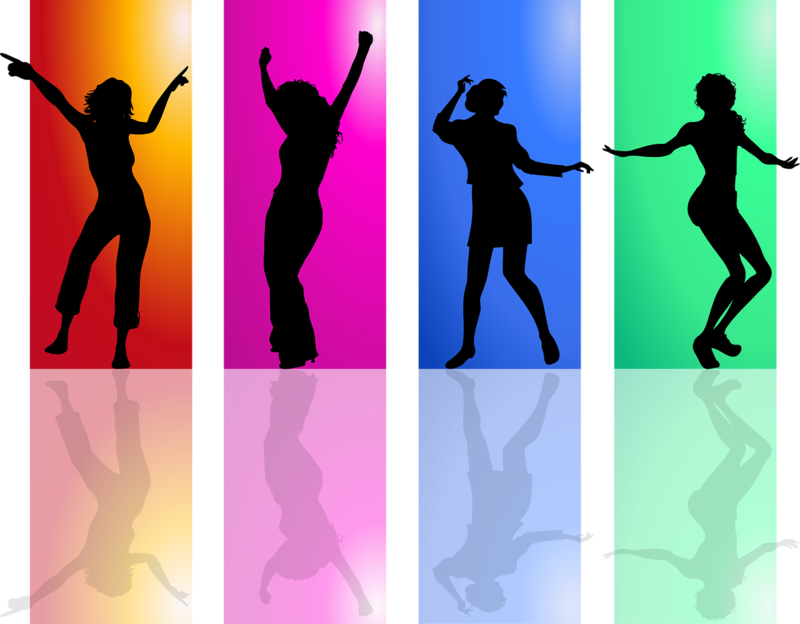 Some people have only close friends and family for the wedding ceremony and include a larger guest list for the evening reception entertainment which may include work colleagues and casual friends. Children are a consideration as some prefer not to have children at their wedding while others are more than happy to encourage a family wedding environment. If you are including children in your guest list remember to accommodate their needs when catering the reception and planning entertainment. Most brides like to have a 'theme' for their wedding, even if only to establish that it will be a traditional white wedding theme. When considering a theme for your wedding consider what reflects the personality of you and the groom and what can easily be managed within the scope of the wedding budget. Wedding invitations featuring a handy timeline are popular, and this one (my own design) features quirky watercolor graphics with template text fields for you to add your own unique wedding timeline text. 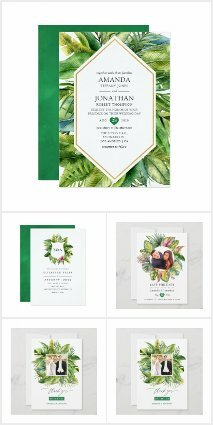 Wedding invitation color and graphics schemed for the coming year include minimalist with a lot of white space, feminine handwritten style fonts, leaves in both spring and dark tropical with watercolor graphic elements. 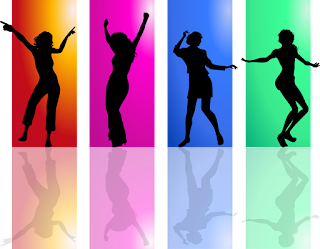 Popular colors are midnight blue, ultra violet, turquoise and last years favorite blush pink and gold. We're not ready to let go of that glamorous color combo yet! As a surprise we're also seeing more corporate styled invitations, with monochrome photos, block lettering and simplistic yet stylish look. Knowing your wedding theme will help determine where you want to get married. Select somewhere that sets the tone for your themed wedding. A small chapel or church for a traditional wedding for close family and friends or an outdoor garden ceremony for a more rustic, country themed wedding. Weather will be a factor as will guest numbers and budget. When deciding where you would like to hold your wedding reception, evening party or cocktail hour consider how your guests might travel from the ceremony venue to the reception and how long they might be at a loose end in between. You may need to budget for transport for guests, allow for ample parking and prepare detailed directions. For guests who have to travel some distance to attend your wedding, you may also need to arrange overnight accommodation or provide a list of local hotels. If you want to be fully prepared for your special day, time line carefully calculated, checklists and budget in place etc. you could do worse than to equip yourself with Best Selling The Knot wedding planning guide . This particular guide is packed with lots of new ideas. It's always been a hot favorite with brides because it's so darn helpful!! It's a must have! Life is so much easier when you're well organized. If you don't want to splash out on one of those, there are free checklists online you can print out yourself. Martha Stewart is a good source. Have you seen the Bridechilla Guides?? Note: This article is an updated version of one I wrote a while back..it has since been plagiarised many times. Please do not support sites that steal content and anyone found to be taking content re this site will be issued a DMCA take down notice.